This mod adds a guardian from the PC version of the game! To spawn him you need to get the spawn egg (ID - 501). You can get the egg using PiE or going into survival mode. 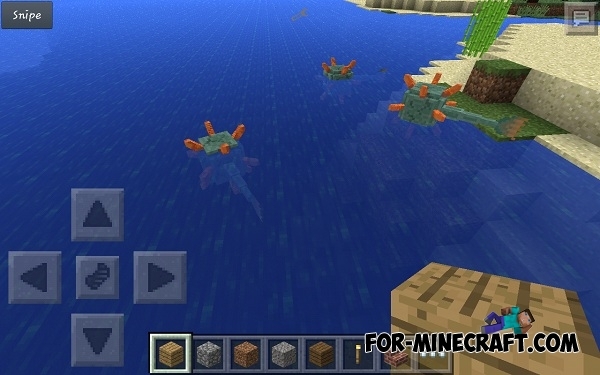 Mob Talker Girls Mod for MCPE 0.11.1The mod will add to the world of Minecraft Pocket Edition are several different types of mobs. These mobs are spawn in using some of the elements that are available in the game.